Serves over 941,000 people across six counties: Del Norte, Humboldt, Mendocino, Lake, Sonoma, and Napa Counties. 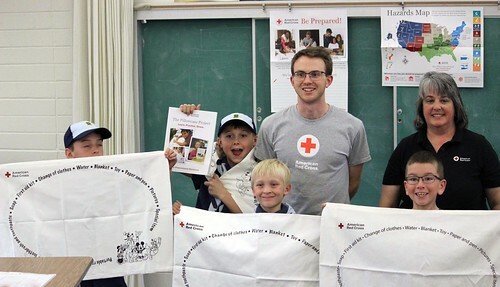 The American Red Cross of California Northwest leverages the power of volunteers and generosity of donors to prevent and alleviate human suffering. Strong community support enables us to provide lifesaving training, relief to those affected by disasters, and empowers individuals in the communities we serve to prepare for, respond to, and recover from emergencies. Jeff Baumgartner is the Executive Director of the California Northwest Chapter of the American Red Cross, serving Sonoma, Napa, Lake, Mendocino, Humboldt and Del Norte counties. While with the Red Cross, Jeff has worked in various positions focused on health and safety, business development, International Humanitarian Law and disaster cycle services, including chapter executive roles in Southern California and the Florida Keys prior to Northwest California. He holds a bachelor's degree in Political Science from St. John’s University, Minnesota and a master’s degree in Government and International Affairs from the University of South Florida. Jeff has studied and conducted research in multiple countries, including Nicaragua, Costa Rica and Cuba. He and his family live in Santa Rosa. Each spring, a new round of Volunteer Recognition Events gets underway in our region. That made us want to take a moment to thank — one more time — the many volunteers we honored at our 2018 Recognition Events.